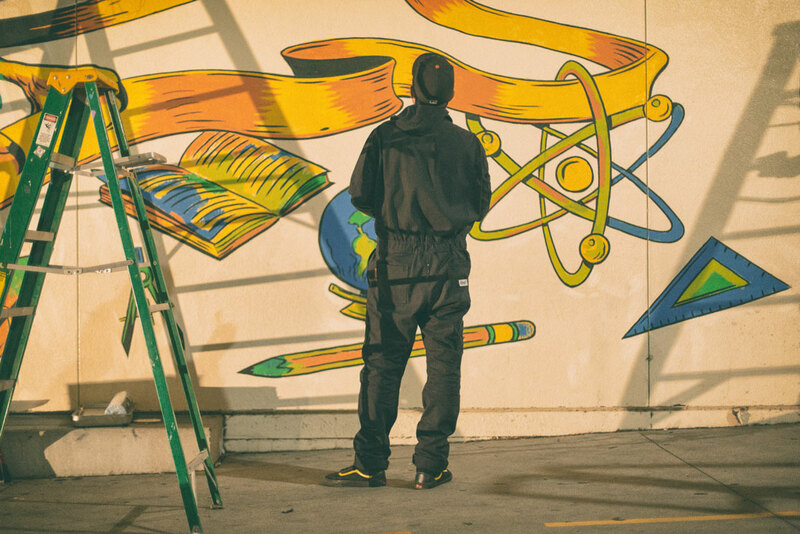 Photos by Scott Nichols of Sickboat Creative Studios. 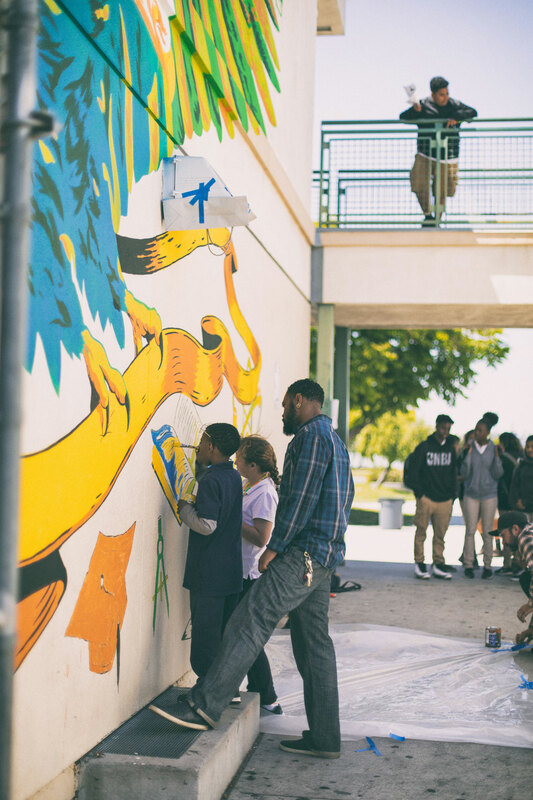 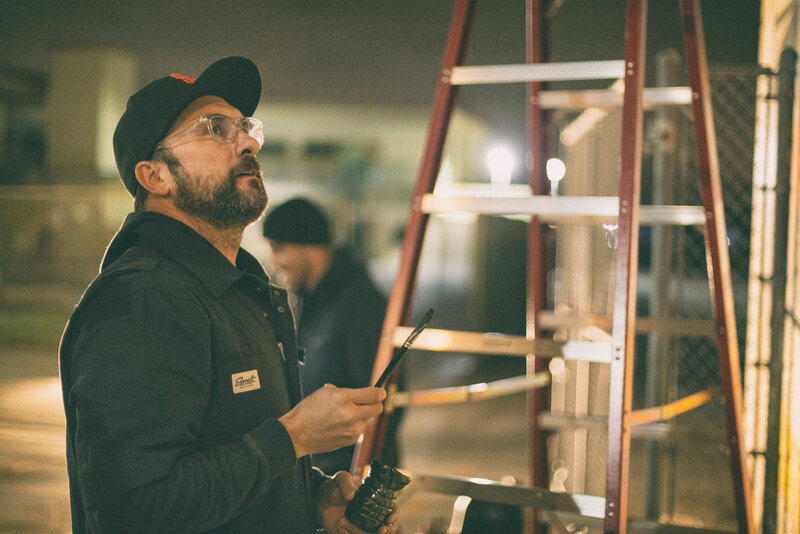 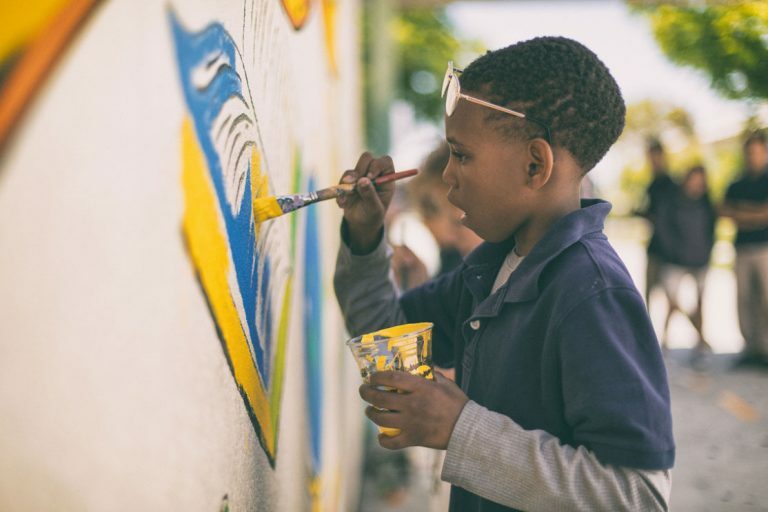 In a partnership between the Long Beach Unified School District’s Colin Powell Academy, Long Beach-based trio of professional muralists, The Draculas—comprised of Jeff McMillan, Gary Musgrave and Jake Kazakos—and the Arts Council for Long Beach, a brand new mural of the school’s mascot, a bald eagle, now serves as a symbol of encouragement to students. 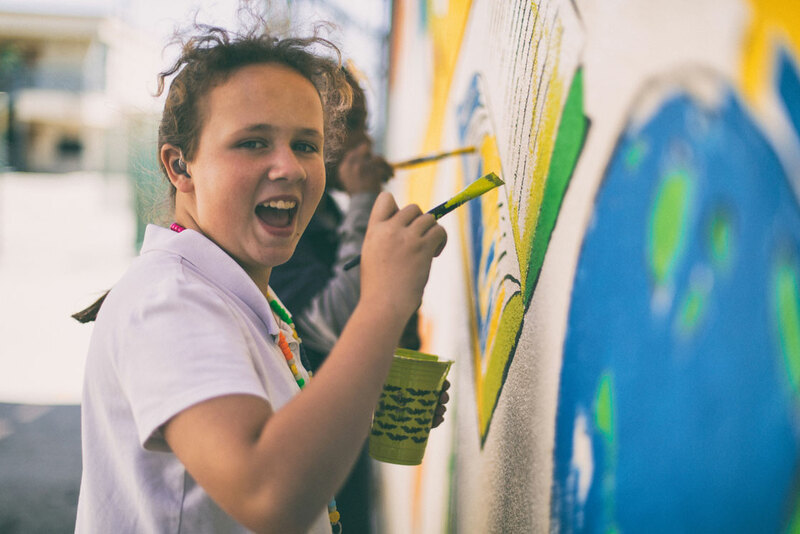 The project to upgrade the school’s feathered mascot through the painting of a mural, titled “Soaring to Success”, was spearheaded by 6th grade teacher Erin Villegas. 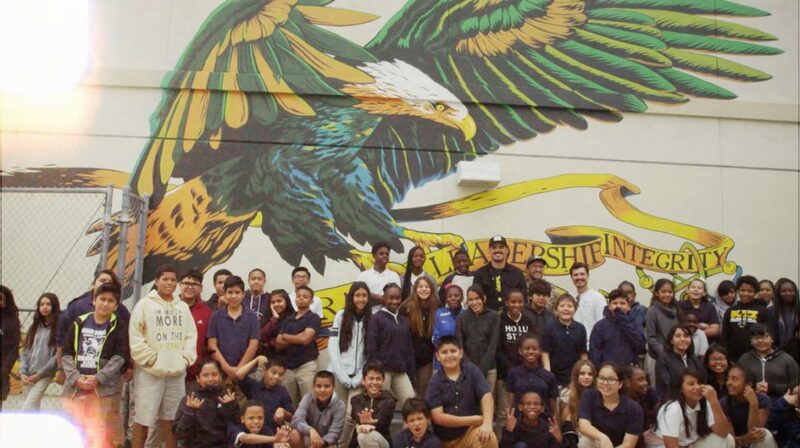 Students, school staff and muralists participated in the week-long experience, bringing to life the bald eagle representing the school’s values: respect, honor, courage, leadership and integrity.